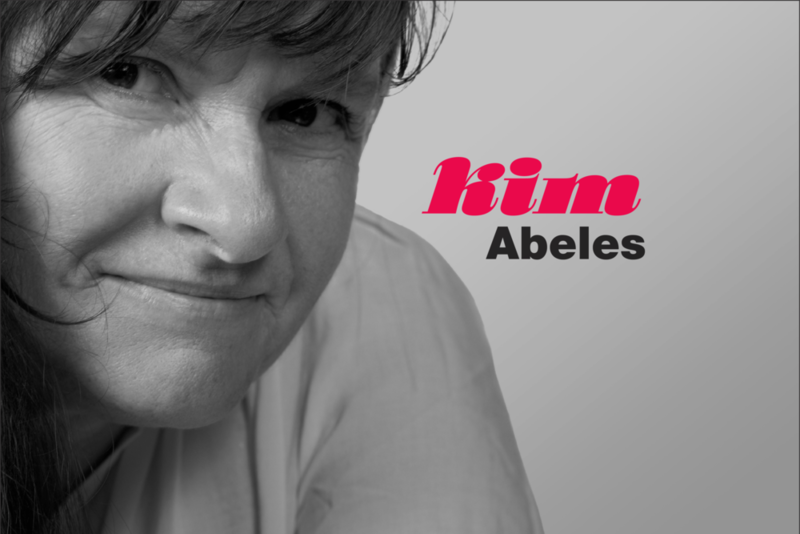 Kim Abeles is an American interdisciplinary artist currently living in Los Angeles. 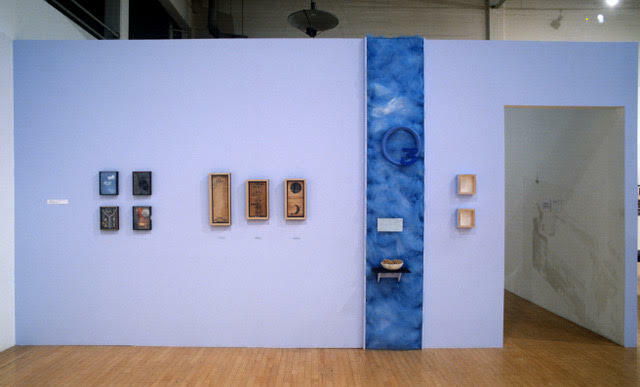 Installation view of "OZONE" at the Armory Center for the Arts in the exhibition curated by Noel Korten and Jay Belloli in 1999. How were you introduced to artworxLA? Who connected you to us? made in smog on the glass front. Areli a student from Angeles Plaza College Preparatory HS, worked on the "OZONE" workshop and exhibits. 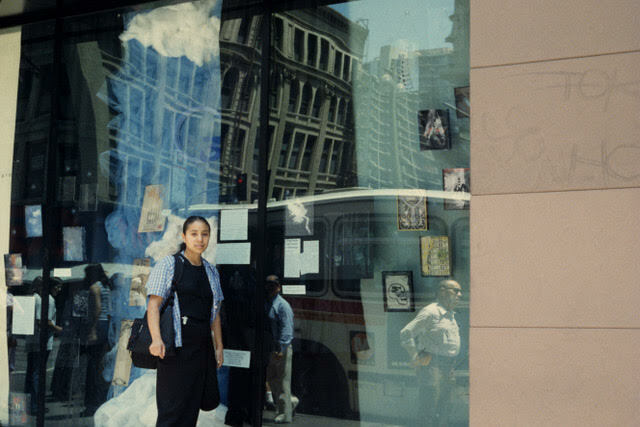 As one of our earliest workshop sites, Angelus Plaza has been connected to artworxLA programming for 25-years. Can you recall a memory you have with our students? A poem and artwork by Patricia Davalos for "OZONE"
artworxLA has always understood the value of exhibitions and performances presented to the public as meaningful acknowledgments of the creative accomplishments developed by these young individuals. I was so impressed with the students through this project that I hired five of them to work with me the following summer on a large-scale installation called, "Leaf Leap (All the World’s Leaves)" that was exhibited for several years at the Contemporary Art Center in Cincinnati. The museum budget enabled me to pay the students well, and they learned a variety of skills alongside college students whom I also employed. All of us as a team had an unforgettable time being productive in one of the original, rough-cut lofts in downtown LA, and a couple of the students went on to study art in college. Art is, after all, contagious. What has inspired you to stay connected to us during our 25-year history? shaping our communities. artworxLA has been a model for effective programming to encourage a vital, positive relationship between youth and education. What does "arts for good" mean to you?